You will be given a reference e-book to read which has 367 pages And the test will be based on that e-book , you can take final test within 1 year of purchase. Health information technology (HIT) offers a solid framework which works in describing the process of comprehensively managing health information that form part of computerized systems as well as securely exchanging the said data between providers, quality and government entities, insurers and consumers. It also serves as an extremely useful tool in enhancing the overall efficiency, safety and quality of health delivery systems. Consistently and broadly utilizing health information system also offers numerous benefits including the improvement of quality for health care, reduction of health care costs, medical errors prevention, decreased paperwork, increased efficiency in the administrative field and extended access to more affordable health care solutions. You can also expect its proper implementation to help in detecting infectious disease outbreaks at the earliest possible time, evaluating health care depending upon value and continuously keeping track of chronic disease management. Health information technology is also defined by a lot of experts in this industry as a field which covers a variety of products and services such as infrastructure, hardware and software that are primarily designed to help in collecting, exchanging and storing essential patient data all through the process of clinically practicing medicine. The ability of HIT to offer numerous benefits to the medical industry is one of the major reasons why it has become the hallmark in the field of efficient medical practices worldwide. Conveniently and easily increasing the level of your understanding about health information technology is now a great possibility considering the presence of the health information technology certification program at Brainmeasures. This health information technology course is the most ideal online certification program for you especially if your desire to become an HIT expert is extremely strong. It gives you the opportunity to undergo a health information technology training which covers all aspects related to the field including its major elements and components, its functions and benefits, its scope, the different technologies that are now used in the field and the different techniques and methods that can be used by medical professionals to obtain the best results out of implementing HIT. Earning a health information technology certificate right after you complete this online certification course is very rewarding since it is effective in showing your competence when it comes to correctly implementing HIT. 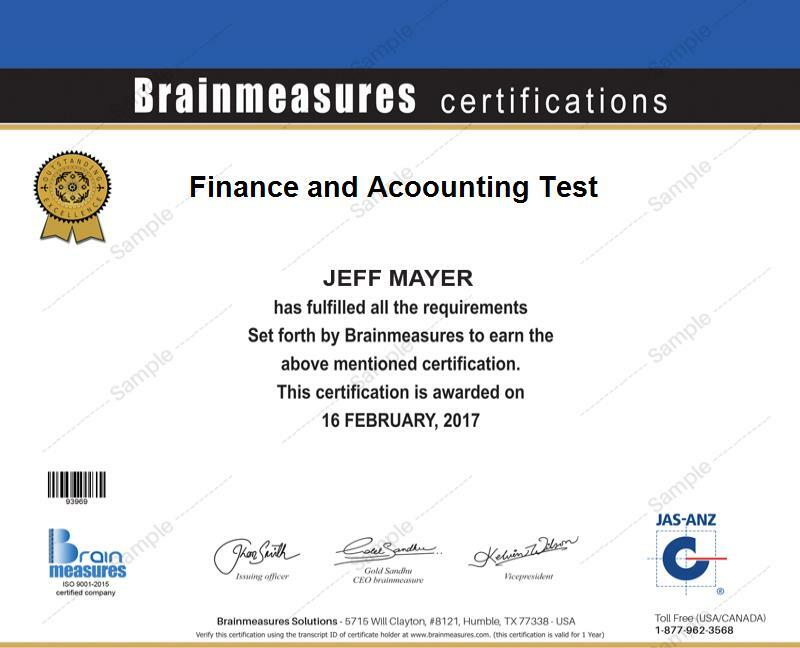 The health information technology certification program which is conveniently accessible at Brainmeasures can be expected to work effectively for anyone who wishes to fully comprehend the field. You can expect it to offer more benefits to all aspiring and practicing health information technology professionals, healthcare services managers, clinical directors, medical directors, nurses, doctors and any other professionals who are now part of the healthcare industry. Your health information technology certification can also reward you with a higher pay. As a health information technology certification holder, working as a health information technology consultant will become easier and this will entitle you to acquire around $57,000 to $92,000 annually. Working as a health information technology manager can also benefit you with an annual salary of approximately $81,000 to $135,000.